Happy 5th to George Daxon & Ike Raines, II! Our Norcross office is celebrating these two fellas today! 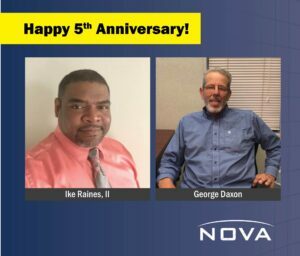 Happy 5th NOVA anniversary to George Daxon and Ike Raines, II. We hope you have a great day!